Artwork of Lex from Genealogy of the Holy War. Artwork of Lex from Treasure. Artwork of Lex from the Fire Emblem Trading Card Game. (Japanese: レックス Lex) was the son of Duke Langobalt of Grannvale's House Dozel. He was persuaded by his friend, Azel of Velthomer, to come to the assistance of Sigurd of Chalphy in opposing the Verdane invasion of Grannvale, and in spite of his father's intense hatred for House Chalphy, he served with Sigurd in Agustria, Silesse and beyond until his presumed death in the Battle of Belhalla. Early in the Verdane raid on Grannvale, Lex and Azel arrived from the north to assist Sigurd in fighting the invasion, though he teased Azel over how the latter may have actually been motivated to help by his infatuation with Adean. Recruitment: Prologue, automatically from turn 2. Dismissed by his father as "worthless", Lex was uninterested in Langobalt's ongoing feud with House Chalphy, though he still claimed to have only come to assist Sigurd as a result of Azel convincing him to do so. Hotheaded and something of a rebel to his father's ways, he was blunt and exceptionally honest, resulting in him receiving a Brave Axe from a mysterious woman in Verdane as a test of his honesty. In spite of his rough exterior, Lex got along well with most people, exemplified by his close friendship with Azel. In the Prologue, Lex can talk to Sigurd after he appears, yielding no reward. In Chapter 1, if Lex waits on the end of the small peninsula south of Verdane Castle, he will receive a Brave Axe. In Chapter 3, Lex can talk to Ayra at any time, giving her a Brave Sword and 100 love points between the two. Both Lex and Holyn may perform this conversation, and if Holyn does it first Lex cannot. In Chapter 5, Lex can talk to Azel after Lubeck Castle has been seized, yielding no reward. In Chapter 5, if they have been partnered, Tailtiu can talk to Lex, yielding no reward. — Lex, when fighting Langobalt, in Chapter 5 of Genealogy of the Holy War. — Lex, in Genealogy of the Holy War. 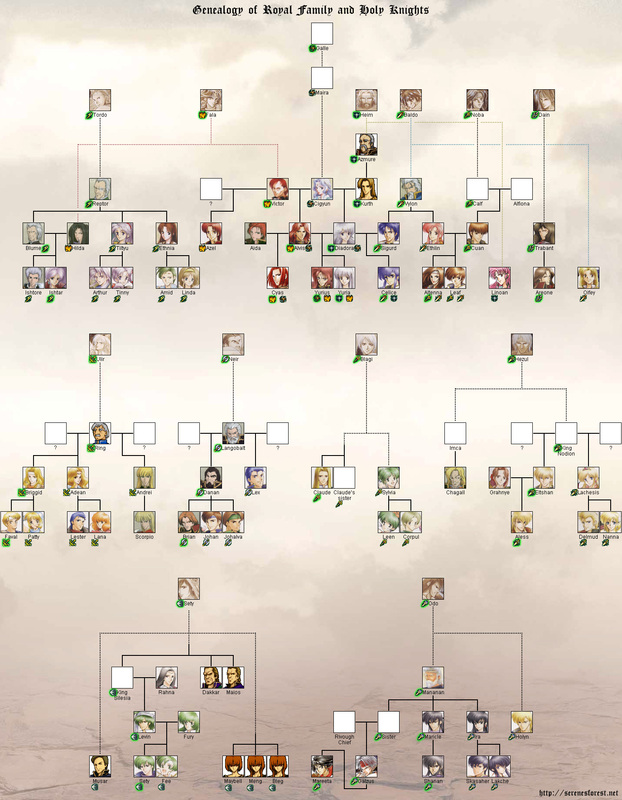 In this adaptation of Genealogy of the Holy War, Lex eventually marries Ayra. Lex is currently featured on one card in Fire Emblem Cipher. "Time to teach these Verdanite thugs a lesson or two!" Warrior of the Bloody Axe: [Always] While you have 6 or more cards in your Bond Area, this unit gains +20 attack. For more detailed strategic information on these cards, see their TCG wiki article on Lex . (unofficial) Lex Used in the Genealogy of the Holy War fan translation. Japanese レックス Officially romanized as Lex. Romanized instead as Rex in the Super Tactics Book. Artwork of Lex from the TCG. Lex's portrait from Genealogy of the Holy War. Lex: Oh really... I'm not quite buying your story, Azel. What aren't you telling me? Azel: Wh...what're you talking about!? Lex: I'd surmise that you're all worked up about Lady Adean of Jungby. I know you like her. Lex: A-ha! Face is getting red there, buddy! You little player you. ↑ "Lex: Damn! I dropped my axe!! Woman: Was the axe you dropped this gold axe? Or perhaps this silver one? Lex: Naw, it was nothing as nice as either of them. It was just an old iron axe.